Hammer boxes for emergency escape from trains, buses, and buildings. Safeglass (Europe) Limited was formed in 1997 to commercialise the award winning material, Safeglass®. Since then, we have expanded our product range to include emergency hammer boxes and enclosures. 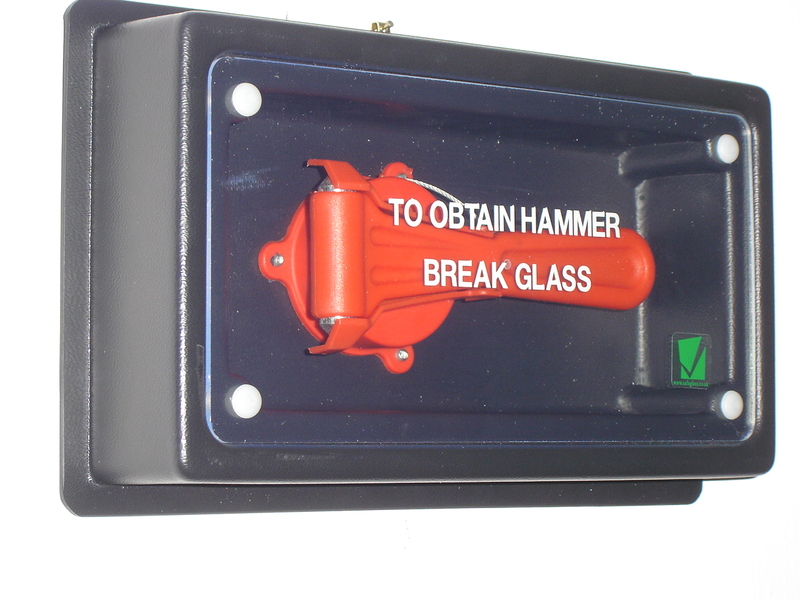 All our hammer boxes include break-glass access to secure the contents. Choose from our hammer options, materials and design. Don't see what you need? No problem, we may be able to design something just for you. For our Railway customers, we use materials which are compliant with EN 45545. We offer a range of hammer options and our hammer boxes come ready to be fitted.